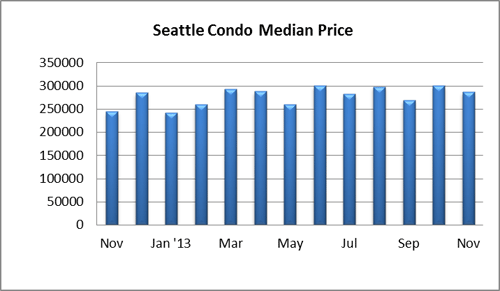 November’s real estate activity exhibited another stellar month for Seattle’s condo market resulting in improved sale prices and unit sales volume. 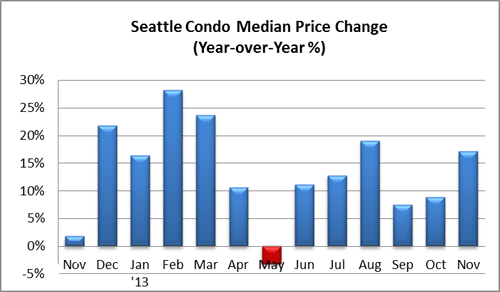 The citywide median sale price reflected a double digit increase of 17.18% over last November to $286,500. The Queen Anne, Magnolia and North Seattle neighborhoods realized year-over-year increases in their median sale prices as well, with the downtown core, central and West Seattle seeing the opposite. The citywide median sale price dipped from the prior month by 4.5%, though that is too be expected with the cyclical market slowdown during the last quarter of the year due to the holidays and weather factors. Historically, sales activity and prices drop in November and December. 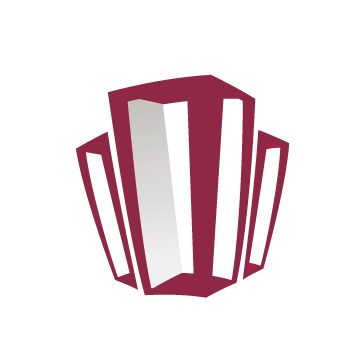 With that said, the velocity of condo unit sales slowed in November resulting in a 22.9% dip in the number of pending sales transactions to 215 unit. However, that still outperformed last November by 2.9%. 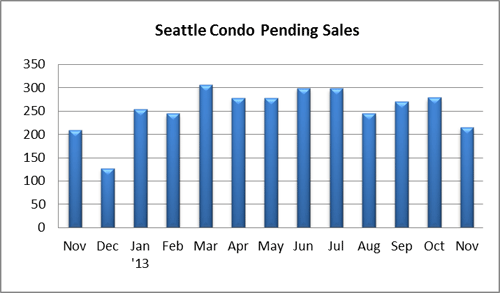 The number of closed condo sales also reflected a solid year-over-year improvement of 6.2% to 172 units. 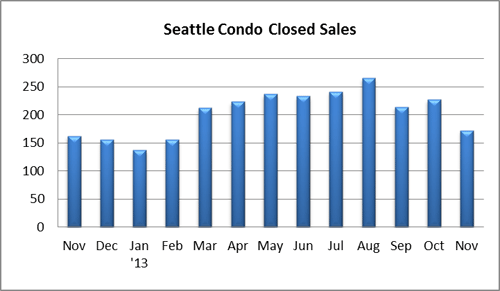 Compared to the prior month, closings slowed by 24.2%, however. 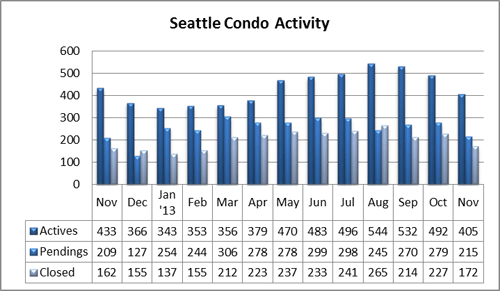 The number of available of Seattle condo properties for sale constricted to 405 units, a reduction of 6.5% from last November and 17.7% from the prior month. 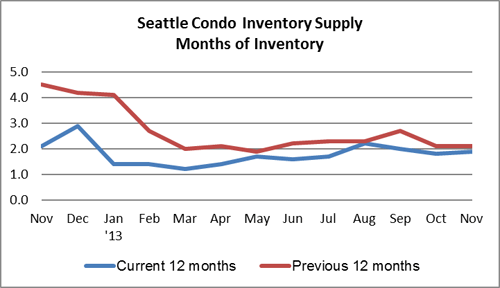 Seattle’s condo inventory supply rate remained unchanged given the limited inventory and relatively strong sales activity. At a 1.9-month supply rate, it’s still a strong seller’s market in Seattle. The market should reflect similar results in December as well – fewer sales and overall lower median sale prices. However, the market should continue to outpace last year’s velocity. 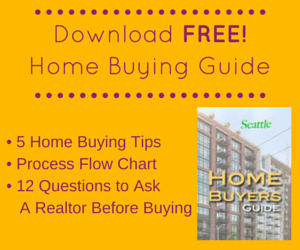 This is an awesome blog on the Seattle market. 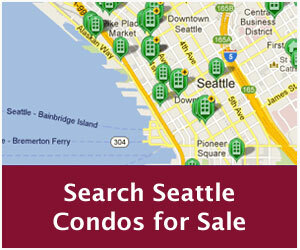 I love the niche you have with condos and metro properties.